What is the Branding Page? 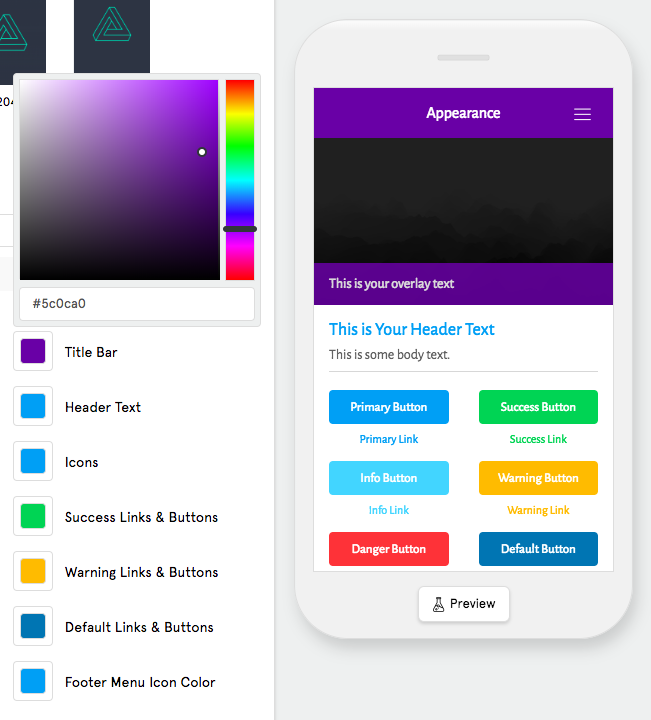 The Branding Page lets you set up the core elements of the branding for your app such as the app logo, loading screens, and color scheme. In this article we’ll go over all of the sections of the Branding Page and how to use them. What are the different sections of the Branding Page, and how do you use them? Here we’ll go through the Branding Page tab section by section so that you know how to set up the groundwork of your app’s branding. 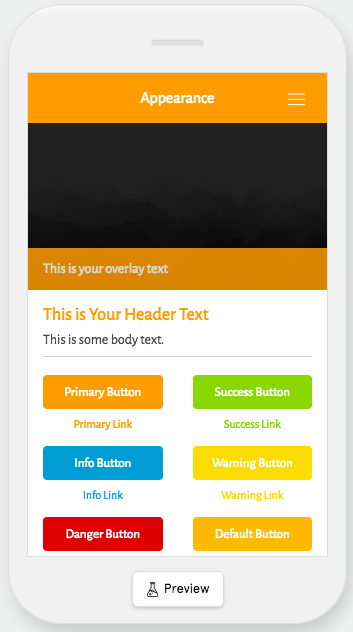 Note: We recommend that you use a 1024 px. x 1024 px. 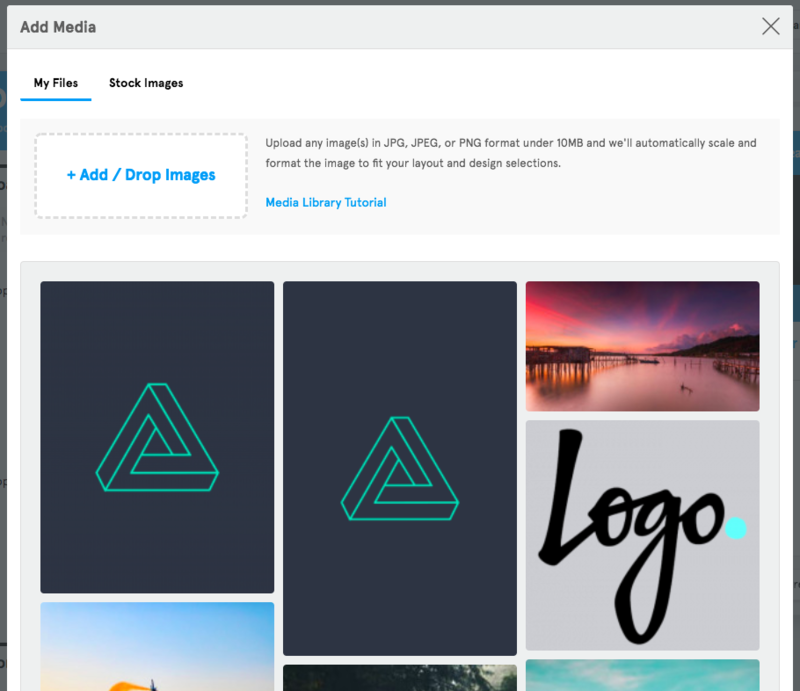 square as your icon image. Once you’ve uploaded the icon image type in the icon name that you want to display under the app’s icon on user’s phone screens in the “Display Name” section. Note: The display name has a character limit of 40 characters. 640 px. x 960 px. 1242 px. x 2208 px. 1536 px. x 2048 px. 1600 px. X 2560 px. If you don’t upload images with these exact dimensions, your loading screens will look wrong on user’s phones. 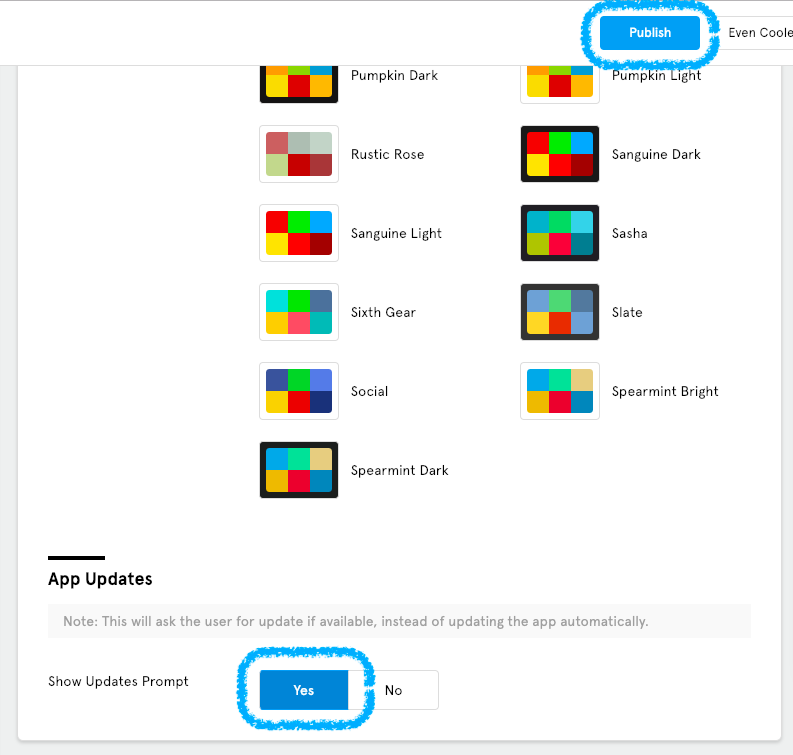 Note: If you make changes to the App Icon, Icon Name, or Loading Screens after your app has been published and is live, you’ll need to contact us at support@buildfire.com letting us know what you changed so that our publishing team can resubmit your app for you. 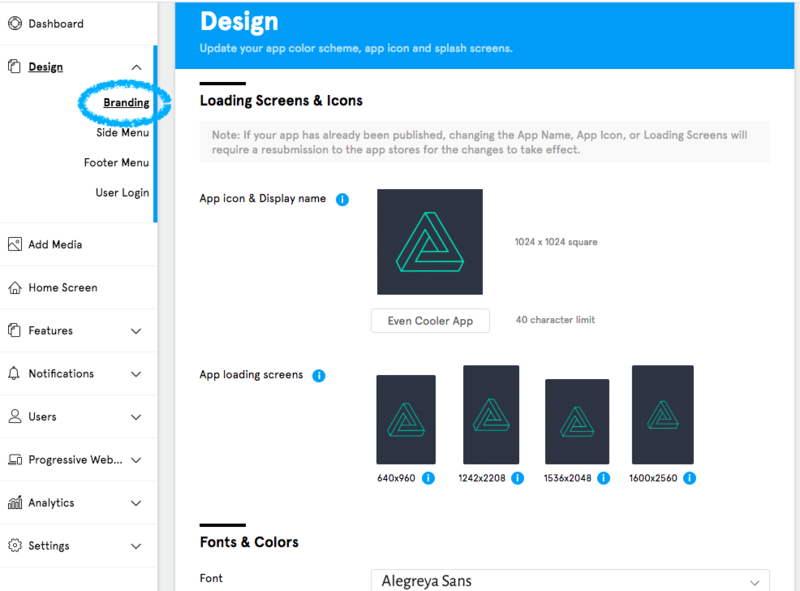 If you would like to change the font that’s used in your app, simply click on the arrow next to the current font’s name to open up the drop-down menu. 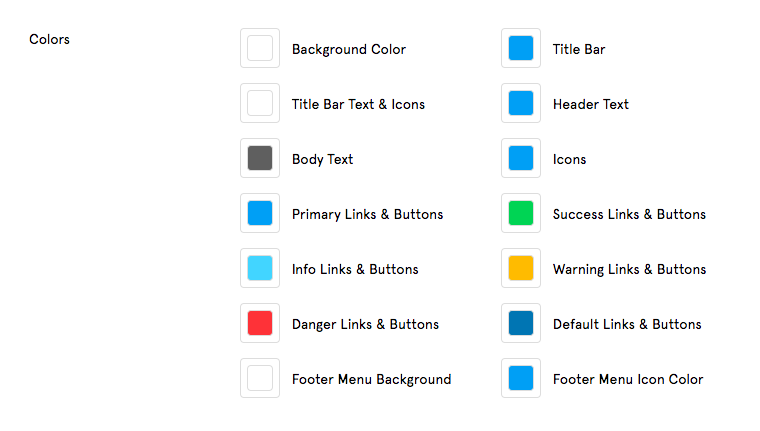 Next all you need to do is select the font that you want to use in your app from the list of fonts. Note: Keep in mind that because Android and iOS devices run different operating systems, some fonts may look better on one device than the other. This is due to the way that the operating systems process those fonts. 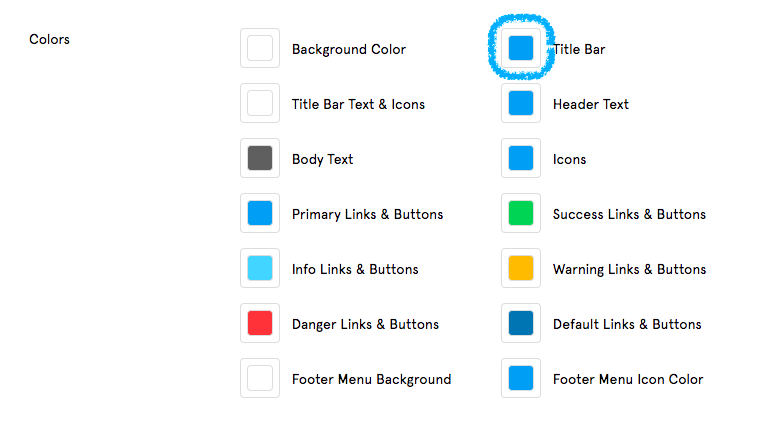 To change the color of an element in your app simply click on the colored box next to that element’s name. 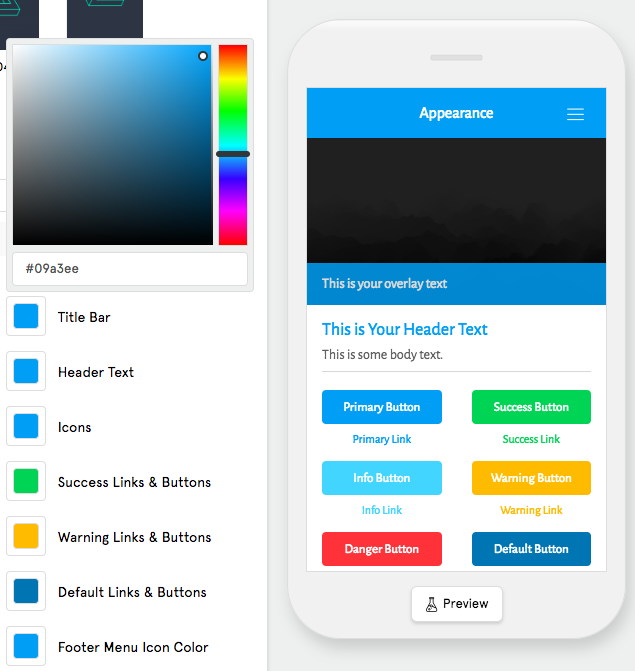 Clicking on that box will open up a color picker where you can either manually select the color you want to use, or if you have a hex code for your company’s branded color you can enter that in as well. 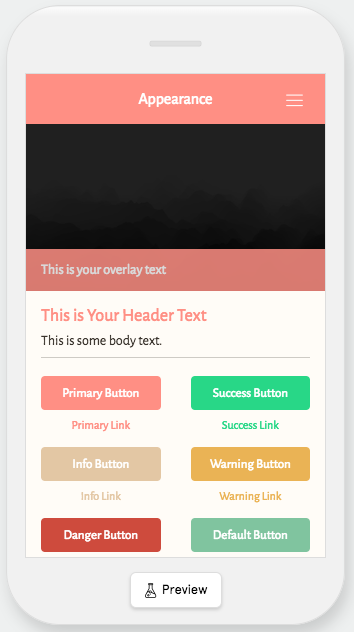 This will update the color of an element in real-time and your changes will automatically be saved. 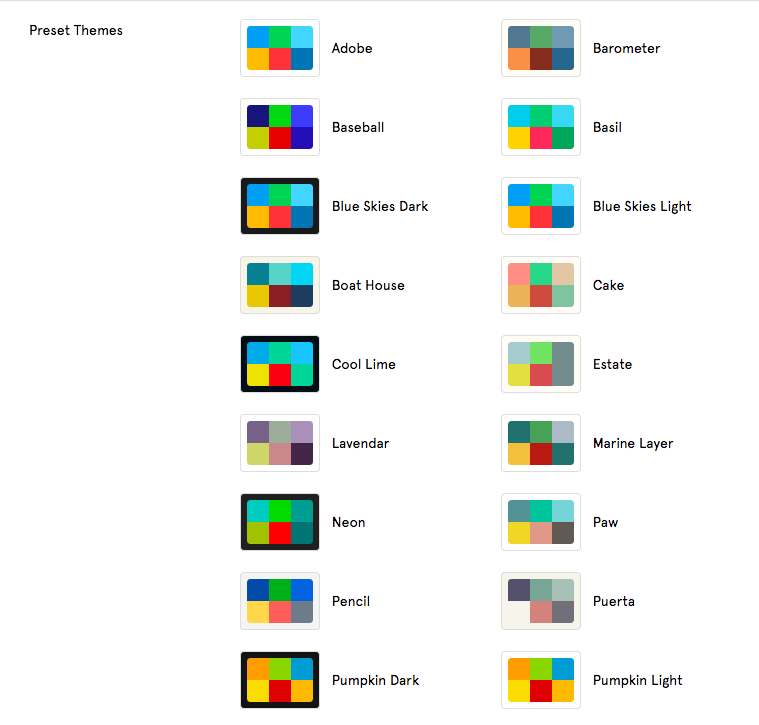 If you would like to switch over to a pre-set theme, simply click on the theme that you want to use. It’s that simple! You’ll see all of the elements change to that theme’s colors. The App Updates section allows you to enable a message that displays for users whenever there’s new content to download when they open the app. When the message appears they will be asked if they would like to download the new content at that time. If you would like to include this prompt in your app, click “Yes” next to “Show Updates Prompt” then if your app is already live click “Publish” at the top of the App Dashboard to push the change out to the live app. Note: If your app is already live and you enable this, users will need to check for new content one more time by either closing the app entirely, waiting 15-20 seconds, then reopening it which will tell the app to automatically check for new content, or manually check for new content by opening the side menu and tapping on “App Settings” then “Check For New Content”. From then on users should see the “New Content Available” message whenever they open the app and there’s new content to download. If your app isn’t published yet and you enable this, it should be included in the initial submission of your app when you send it off to our publishing team to be submitted.